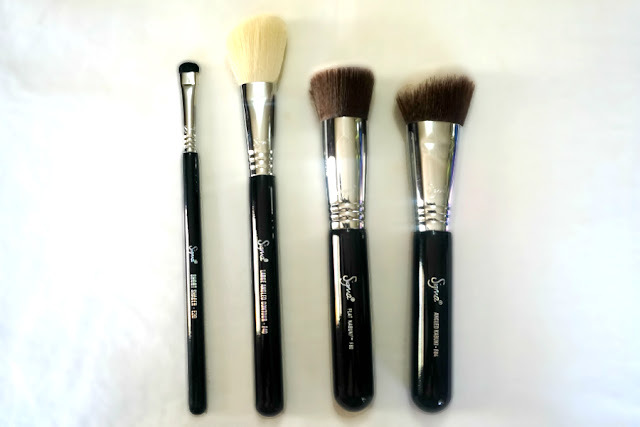 Sigma Beauty Make Up Brush E20, F40, F80, F84 - "Keeping in mind, the rapidly growing demand for high-quality beauty products, Sigma Beauty has come out with a breath-taking variety of first-rate cosmetic products which are tested for performance, resistance and durability to fit the need of every consumer. The company provides a wide range of make-up items and related accessories at affordable prices." Hello and happy Monday everyone! It's been awhile since I've updated regularly. Hopefully, I will have everything sorted out and I can get into a decent routine. 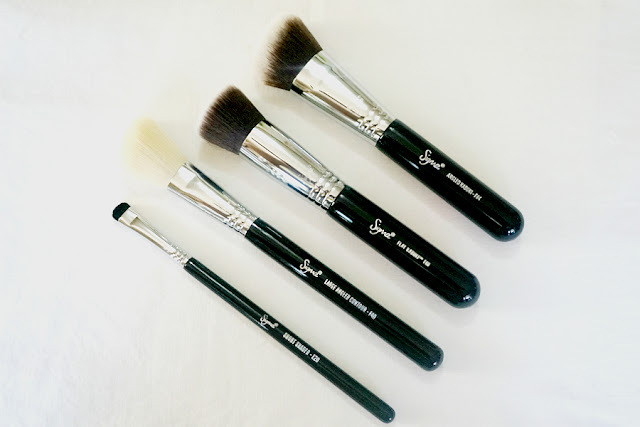 Today's post feature Sigma Beauty, a brand well known for their high-quality yet affordable makeup brushes. I picked up four brushes: three face brushes and an eye brush. 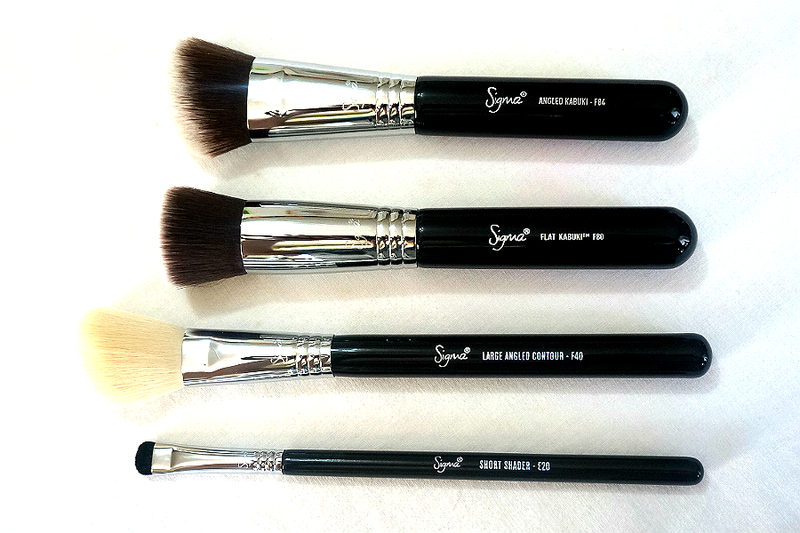 I've long wanted to try out Sigma's brushes since they have been kind-of a cult product in the makeup community. 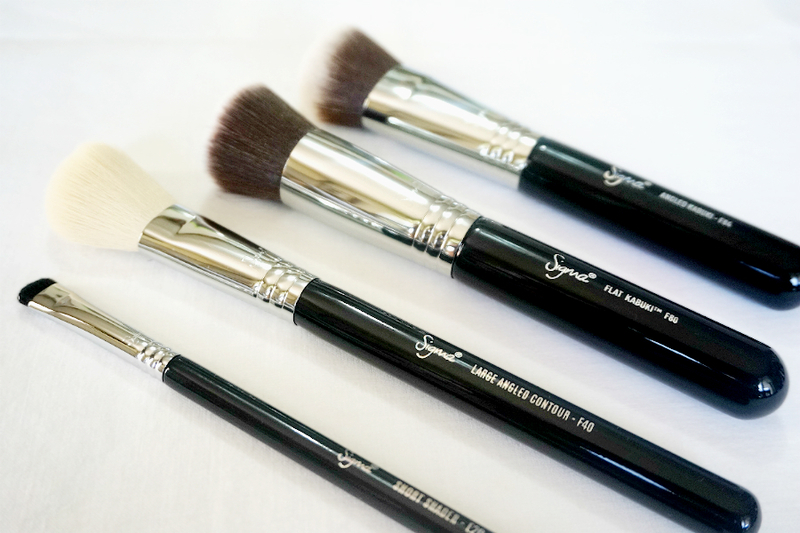 SIGMA E20 Short Shader Brush - "a flat, short, slightly rounded and dense brush with natural bristles. 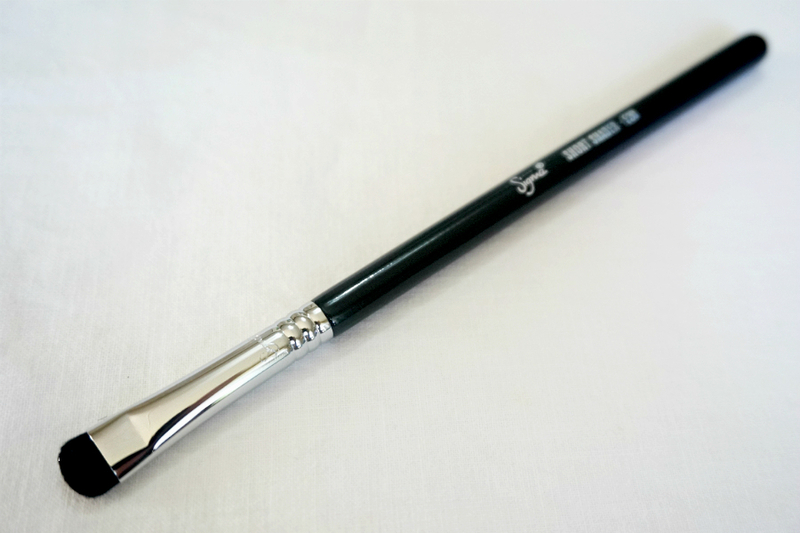 It is perfect for precisely applying colours on the eyelid and smudging along the lash line. 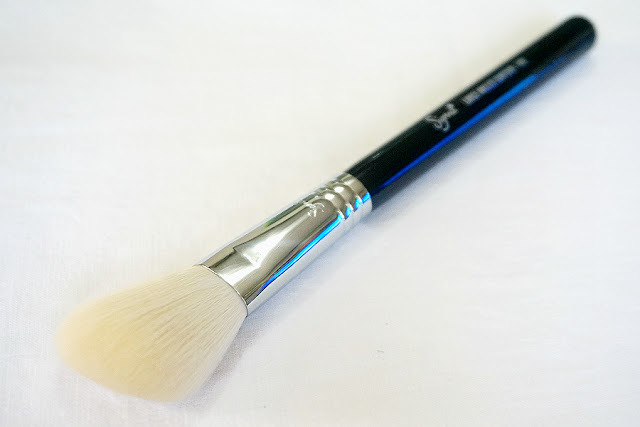 This brush can also be used to build intense colour." 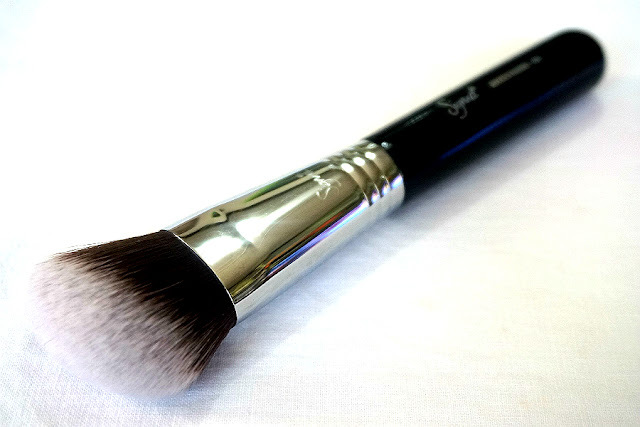 SIGMA F40 Large Angled Contour Brush - "a fluffy angled brush head with soft, rounded edges. Its angled design allows you to apply blush or other contouring products to your cheeks easily. It is also useful in achieving diffused contour, giving off a subtle splash of color to your cheeks." SIGMA F80 Flat Kabuki Brush - "buff your foundation with F80 Flat Kabuki. A flat top brush with a dense head, it is an ideal tool for applying liquid or cream products. 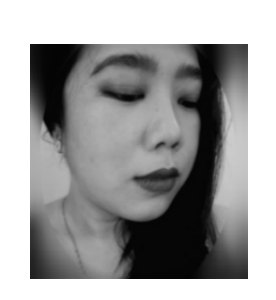 With its shape, it does an excellent job of evenly dispersing the product on the face." 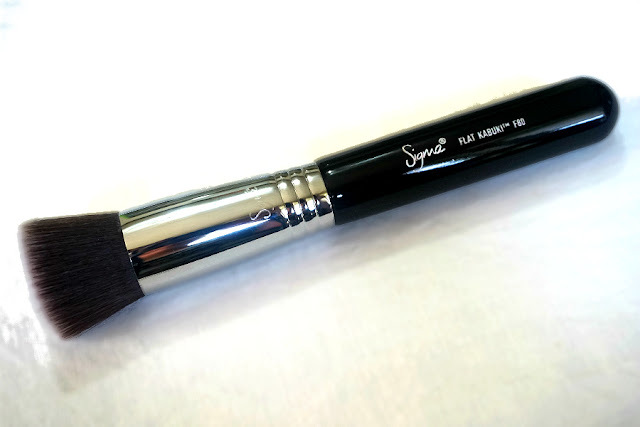 SIGMA F84 Angled Kabuki Brush - "an angled brush head which applies foundation into hard to reach areas of the face, such as around the eyes and nose. 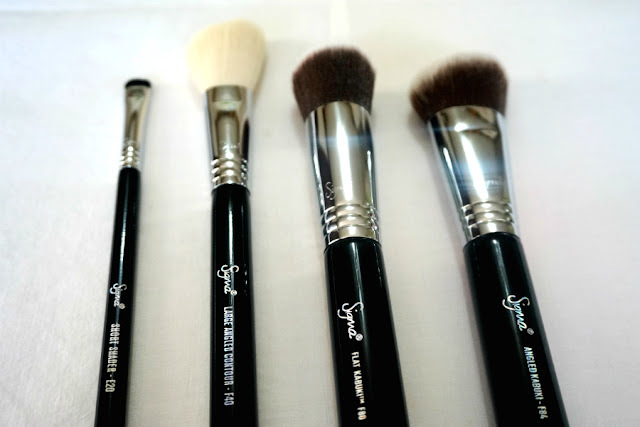 Like other Kabuki brushes, F84 is soft and dense to ensure that foundation is evenly and perfectly distributed onto your face."